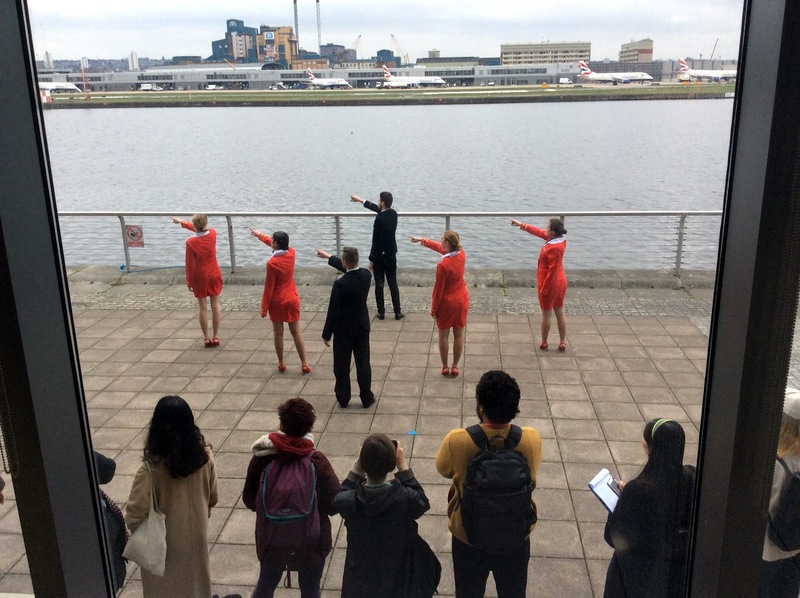 I am not sure if this was art, a protest or an advert but strange display seen from canteen in Newham Council Dockside building last week. Anyone know? They appear to be dressed as air stewards and London City Airport is directly across the docks.